Handgun scopes are very resourceful; because they will help you magnify your target, and provide a clearer and sharper image than with your naked eye. And we are about to reveal the best handgun scopes you can buy for your target shooting or hunting expedition. 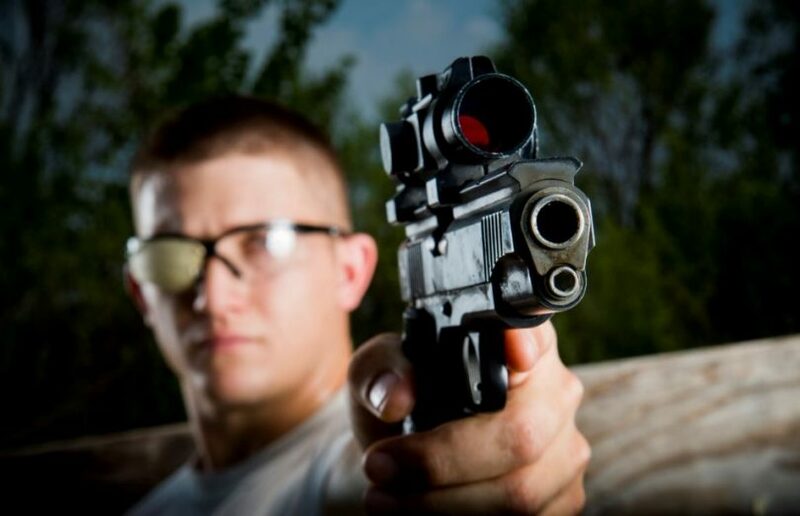 You do not necessarily need a valid reason for you to invest on a handgun scope. So many people, especially hunters have attested to the importance of a hunting scope. The most important achievement is better accuracy at a greater shooting distance. In this brochure, we will discuss the best buying tips that will educate you on handgun scopes. The list of product reviews ought to help you make a profound purchasing decision by helping you compare high performing products, and choose one that fits your needs and budget. Choosing a high performing handgun scope does not have to be a difficult proposition, but it can be quite confusing. This is particularly true if you do not know what to look for on the market. However, we are about to simplify things for you with the following buying tips. Your application of the scope depends mostly on the scope’s magnification power. Manufacturers do usually name their inventions based on the magnification power and the objective lens diameter, such as 2x28mm. 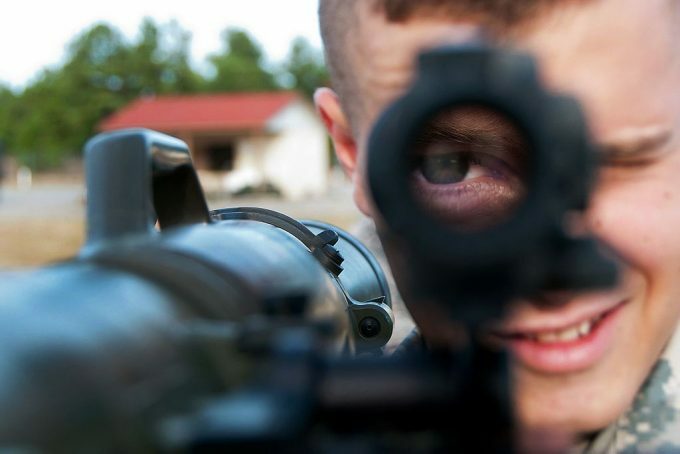 Handgun scopes do usually come in fixed or variable magnification power, which is clearly stated on the scope’s specifications. An example of a fixed power is 2X, 4X, or 6X, and a variable power is 2-6X, 2.5-8X, or 2-7X. A fixed power will give a specific magnification power. For instance, a 2×28 scope means that the object will be magnified 2 times. But, such kind of a scope does not offer you versatility; instead, you will have to work with what you have. For versatility, you should consider a variable power handgun scope, such as 2-6X, 2.5-8X, or 2-7X. A variable power scope will allow you to conveniently vary the magnification power with infinite figures in-between for convenience. The objective lens diameter is usually the second figure is a scope’s name, such as 28 mm or 32 mm. A value of 32 mm means that the outer lens is 32 mm in diameter. The larger the objective lens diameter, the larger the lens, and the bulkier the scope. It goes without saying that a larger diameter makes a scope heavier, but there are benefits that come with such a diameter. Normally, a larger diameter offers a larger field of view, and a clearer and brighter image. The choice depends on your application and preference. The very first specific feature that you must consider is the eye relief. This is the contented distance that you can hold your handgun scope from your eye for you to visualize the entire image. You need a suitable eye relief of at least 9 inches. However, most popular models come with a variable eye relief that ranges from 9 to 20 inches. Your choice depends on how comfortable you are able to hold the handgun and still achieve a perfect view of the entire image. We have touched on the most important features in the previous section. Nevertheless, there are more specific features that contribute immensely on the overall performance of a handgun scope. And we have covered them all in the following list of product reviews. Description: The Simmons ProHunter is a well-built handgun scope with a distinctive design that is not only good looking, but also very resourceful. The scope has a matte silver finish, which feels strong to the touch. It is inscribed with a SIMMONS logo at the middle. The windage and elevation adjustment knobs are strategically located for easy fine-tuning. The power ring is well calibrated for effective operation. The scope’s entire body is constructed from high-quality materials that have been tested for extreme conditions. Out of the box, the scope comes with preinstalled dust cover caps on both ends. The windage and elevation knobs are 1/2-inch MOA click value. This value is suitable at distinctive shorter handgun distances compared to other MOA click values. The scope is installed with multi-coated lenses, which are anti-reflective and very resourceful at light transmission. This ensures that you face no problems sighting your target at the desired distance. The lenses get rid of reflections from the back or front surfaces of the objective lens. 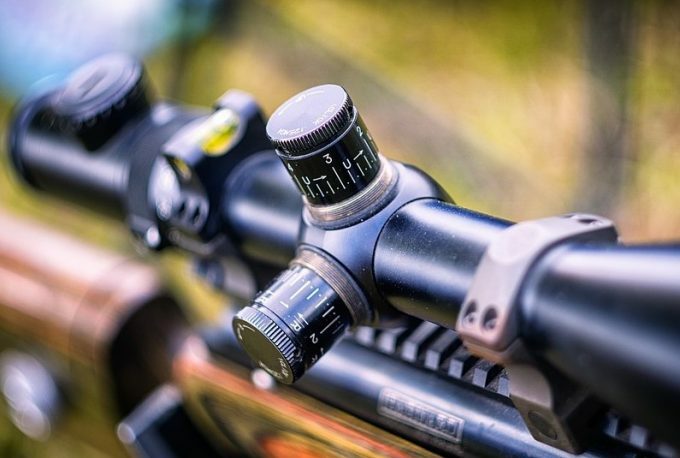 The scope provides you with exclusive TrueZero elevation and windage adjustment that offers a locked in zero setting that will last conveniently even in the most extreme hunting expedition. The Truplex reticle does not obstruct light and makes aiming super easy. The scope features a raised tab situated on the power change ring. This is useful inclusion because it offers you an unquestionable power adjustment and an easier grip for easy operation as you are busy acquiring the ideal image of your target. The handgun scope is made from high-quality materials for lasting durability. The body of the scope has been tested for recoil, fog, and waterproof resistance. The Truplex reticle provides you with a clearer image without light obstruction. The exclusive TrueZero adjustment offers an enduring locked in zero during extreme hunts. The multi-coated lenses are anti-reflective and offer brighter and sharper images in its category. It is only available in a single finish (matte silver). Related: We recommend you to buy this handgun scope along with the Weaver Quad Lock Detachable Rings. These all-aluminum and lightweight rings provide reliable recoil resistance for the best hold on the scope. Description: If you are in the market for a state-of-the-art hunting scope for your handgun, then the Bushnell Trophy is exactly what you need. 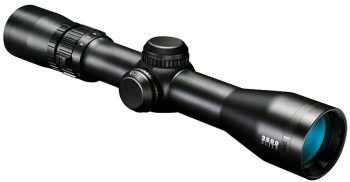 This ergonomically engineered scope by Bushnell offers unmatched performance that you will certainly admire. This new invention has all the field-proven features you require for a successful hunt. The very first and impressive attribute that will draw your attention is the design. The windage and elevation knobs are user-friendly. For rough going in rugged hunting field use, the rubber-armored Bushnell Trophy scope is just the thing. This 32 mm handgun field scope with its 2x-6x zoom eyepiece is armored in non-slip, matte silver finish for easy handling and mounting. The field of view is 14/4.3 feet at a hundred yards for the 2x magnification power, and 4.5/1.4 feet at a hundred yards for the 6x magnification power. This provides you with a wide view of your target without straining your eyes. The scope only weighs 10 ounces, making it super lightweight and convenient for a handgun. You will rarely feel the added weight on your weapon. In fact, it will not interfere with aiming. The Bushnell Trophy is a suitable scope for big game hunting. The Bushnell Trophy is fitted with a fast focus eyepiece along with a windage and elevation adjustment of 1/4 MOA, which is quite resourceful since it allows you to center on your target without the need of holding off. As a result, you get a more precise Aimpoint. The matte silver finish designed is well-built to withstand shock, water, and fog, making it suitable for extreme conditions. The fast focus eyepiece along with the windage and elevation adjustment clicks of 1/4 MOA allow for a more precise Aimpoint. The Bushnell Trophy comes with a variable power that ranges from 2-6X and a multi-x reticle for effective image acquisition. The fully multi-coated optics along with the rain guard allow for greater light transmission in changing weather. The scope does not come with dust caps as advertised. The scope mounting requires raised weaver rings. 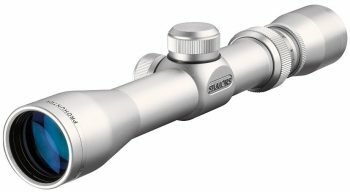 Description: As far as handgun scopes are concerned, the Weaver Classic Silver Scope is one of the high performing scopes. The tube only weighs 12.8 ounces, which is remarkably lightweight. The silver finish gives the scope a unique appearance. The engineering of this handgun scope is based on the one-inch, one-piece construction that is not only fogproof, but also waterproof. This structure is highly durable and it will withstand the harshest of conditions to its abilities without interfering with the performance. The one-piece construction calls for the one-piece mount, which does significantly raise the scope into an ideal and comfortable position on your handgun. This mounting system can suitably push the scope forward to achieve a better eye relief. The scope is installed with the fully multi-coated lenses, which are high performing. These lenses are resourceful at reflecting stray light to maximize good light transmission for better viewing. This ensures that you achieve optimal edge-to-edge clarity. The scope is integrated with nitrogen purged tube for better shock resistance and elimination of internal fogging. The one-piece design is highly waterproof, and it is also torture-tested to effectively tolerate powerful handgun calibers. The Weaver Classic will perform excellently on your Ruger 357mag. It will hold perfectly even after four hundred rounds of use. Overall, the scope is clear as well as sharp, and it does suitably adjust in 2-inch groups at fifty yards. The one-inch, one-piece design is shockproof, fogproof, and waterproof for superior performance in extreme conditions. The fully multi-coated lenses have better light transmission for optimal edge-to-edge clarity for better image acquisition. The scope’s nitrogen purged tube does a good job of getting rid of internal fogging that ensures your viewing is not affected. Apart from the scope’s fifty-yard parallax, the scope is torture-tested to tolerate powerful handgun calibers. The scope is only available in silver finish. The one-piece construction may not be suitable for some users. Related: This product is frequently bought together with the Weaver Quad Lock High Detachable Rings. These mount rings allow for easy and quick detach for convenience. Description: Nikon has gone to extremes to engineer the best pistol scope for the money, the Nikon Force XR . With an extremely fast, rugged, low profile, the Nikon Force is a target acquisition solution for pinpoint accuracy on a handgun. The scope offers reliable field of view of 4.1 to 13.1 feet at a hundred yards, which offers you a wider view and allows for easy and quick target acquisition. It also has an eye relief that ranges from 9 to 30 inches. You can settle for a shorter or longer eye relief depending on preference. This compact, lightweight handgun scope is integrated with a BDC reticle. The high-class reticle has been engineered to eliminate the need for guesstimating bullet hold over when aiming and shooting at long distances. You will always have a suitable bullet drop. The super clear lenses are anti-reflective to maximize the reflection of stray light and increase productive light transmission. As a result, the lenses produce a clearer and brighter image, which does effectively improve image sighting. The scope’s construction is torture tested for power recoils. 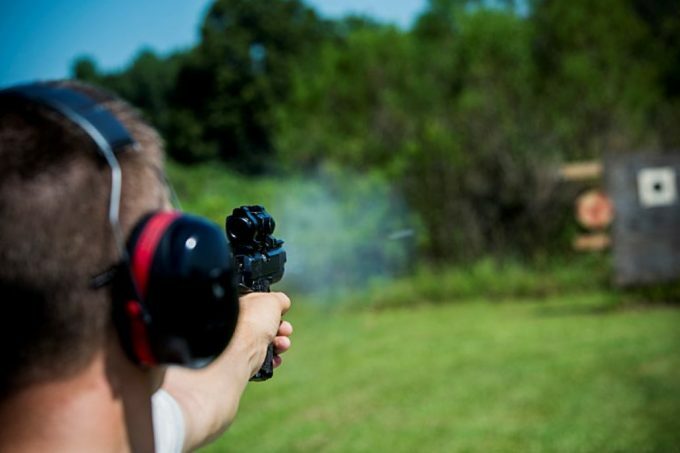 So, it is the most ideal scope for demanding handgun target shooters and hunters. The scope is also nitrogen filled as well as O-ring sealed for shockproof, fogproof, and waterproof. The Nikon Force is a very versatile handgun scope that will fit most of your machines, including the savage Mod 11 scout. And it also works perfectly fine on the Ruger scout. Although, it will take you some time to get used to the scope. The ultra-clear coating offers better light transmission of up to 95% for better image acquisition and clarity. The fast focus eyepiece allows you to instantly and easily bring the scope’s reticle into a clearer and sharper focus. The bullet drop compensation (BDC) reticle reduces the need for guesstimating bullet hold over when aiming and shooting at long distances. The scope’s recoil resistant and rugged design does effectively meet the demands of handgun hunters and target shooters. The Nikon Force scope is fitted with an O-ring seal and it is nitrogen filled for shockproof, fogproof, and waterproof. The eye relief doesn’t perform excellently at the lower range. It is quite pricey when compared to competing models. 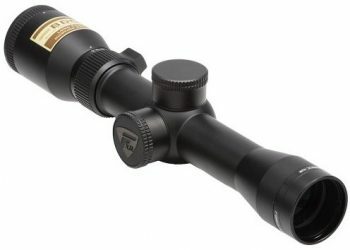 Related: The Nikon Force scope is frequently bought together with the Warne Scope Mounts Quick Detach Rings. The rings are specifically engineered for the toughest conditions to ensure that the scope offers maximum precision and accuracy. 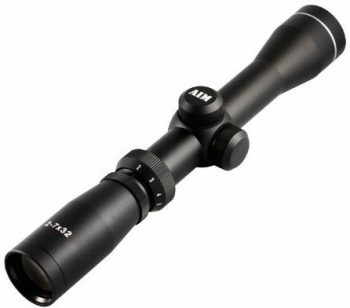 Description: The Aim Sports Scope is ergonomically designed for use with a handgun. It constitutes one of the simplest designs as far as scopes are concerned. 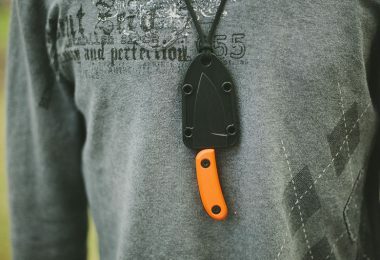 It has a non-slip black finish that offers a good grip on hand and when mounted. The controls are strategically positioned on the AIM scope for easy operation. The windage and elevation adjustment knobs are conveniently large for easy holding even with gloves. The power ring is tough and operation for quick adjustment of the magnification. 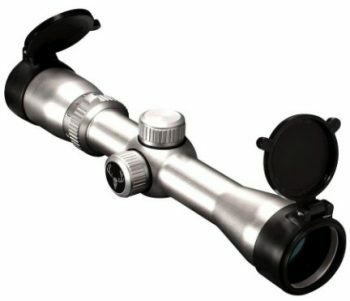 This unique scope is engineered from aircraft grade aluminum material with a remarkably high recoil-proof for handling demanding target and hunting handgun shootings. The scope will offer you unparalleled performance at a very manageable price tag. The body of the scope is weather resistant sealed and nitrogen filled to increase shock and fog proof capabilities. Therefore, it will perform excellently in extreme conditions without major problems. You can even venture in humid conditions and the scope will still perform. You should not be worried about light transmission because the blue lens coating does a great job of maximizing light transmission and reducing stray rays to ensure that you acquire a clear and crisp image. The coating is scratch resistant and offers better resolution. This is a super lightweight and inexpensive handgun scope that offers quality performance. The blue lens coating offers superior light transmission, better scratch resistance, and high resolution. The body of the scope is weather resistant sealed and nitrogen filled for improved shock, fog, and water resistance. 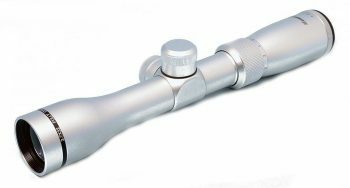 The aircraft grade aluminum casing of the scope is built to endure relentless heavy recoil during use. The general performance of the scope isn’t that great, the crosshair might move. Related: We recommend you to buy the AIM handgun scope along with the Leapers AccuShot Mounting Rings. This one-piece mount rings will raise your scope for better image acquisition. Description: The Bushnell 352632 Elite 3500 is another resourceful and high performing handgun scope for the money. Bushnell experts have proven their inventiveness over the years. And they have clearly demonstrated how good they are through this product. The wide magnification range of 2-6X provides versatility from close range shots to significant distances. A 32 mm objective lens offers exceptional performance even under extreme conditions that may be challenging for competing models. The windage and elevation adjustment clicks and a conveniently wide adjustment range allow you to cover preferred distances in just a few turns of the elevation and windage knobs. The quick focus eyepiece makes adjustment even easier. The super wide coating of the scope incorporates sixty layers of coatings, which do a remarkable job of improving light transmission to greater percentages. Therefore, you get the ideal brightness for optimal image acquisition prior to shooting. The scope is also fitted with an effective HD coating rain guard that provides a more permanent barricade that ensures rain or humid conditions will not interfere with light transmission for better clarity. The variable power, larger objective diameter, and the use of multi-x reticle guarantee better image acquisition. The fast focus eyepiece and the resettable and audible elevation and windage adjustment make operation easy. The scope feature Argon purging that does not only improves the scope’s water resistance, but also shock and fog resistance. The one-inch, one-piece construction is integrated with magnum recoil resistance for unmatched performance during demanding use. The higher eye relief may be a bit excessive. Related: We recommend you to buy along with the scope the Leapers AccuShot Mount Rings. They will offer better mounting for effective performance. Description: If you are in search of a variable power handgun scope that is stylish as well as high performing, then the Hammers Long Eye Relief Scope is what you should buy. This masterpiece is convenient for hunting, plinking, and target shooting. Regardless of the scope’s inexpensive price tag, it is one of the good looking handgun and rifle scope for the money. The silver chrome finish is very attractive, and it will compliment your handgun. The scope is a bit heavy, though. The ergonomic design is highly user-friendly. It is fitted with 2-7X32 fully coated lenses, which are anti-reflective to ensure there are no stray rays, but effective light transmission for better image viewing. You will get better clarity with this scope. The scope provides you with a long eye relief of 13-inch to 17-inch for use in handgun target shooting as well as forward mounting on one of your favorite scout rifle. The fine line 4plex reticle does not interfere with light transmission, but offers better aiming. The Hammers handgun scout scope is an inexpensive model that comes fully equipped with modern day features. The 2-7×32 fully coated lenses are very resourceful at transmitting good light for improved image clarity. The scope has a long eye relief that ranges from 13 to 17 inches, making it ideal for forward mounting and target shooting. The variable power, fast focusing eyepiece, and 1/4 MOA guarantee you quick image acquisition. The scope doesn’t perform excellently as high-end models. Related: The Hammers Scope is frequently bought together with the Weigand Smith & Wesson Frame Scope Mount. This mount is recommended because it is compatible with most weavers as well as Picatinny style rings. The Hammers Pistol Scout Scope marks the end of our product reviews. The handgun scopes were carefully selected based on the best features, unmatched performance, user rating/recommendation and the pricing. 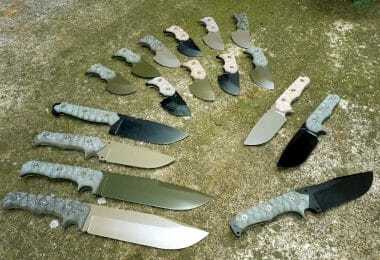 The information provided in this publication is meant to help you find the most resourceful scope for your handgun. 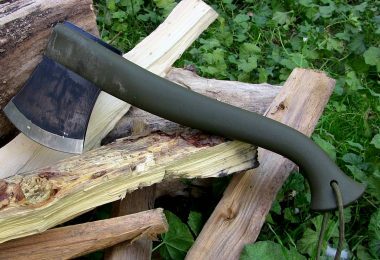 The buying tips are particularly helpful for a novice hunter or shooter. It should not take you long to find a scope that meets your needs if you follow the tips. You can use the handgun scope reviews information to make a profound purchasing decision, compare the best products on today’s market, share buying ideas with your colleagues, and for future reference. Do you think we have left out any useful handgun scope? Did you find what you were looking for? Please share your thoughts, recommendations, and concerns with us in the comments section below, and we will get back to you with valuable insights. Shawn Harrison is our expert in hunting. He was born in Alaska, so hunting was his hobby since high school. 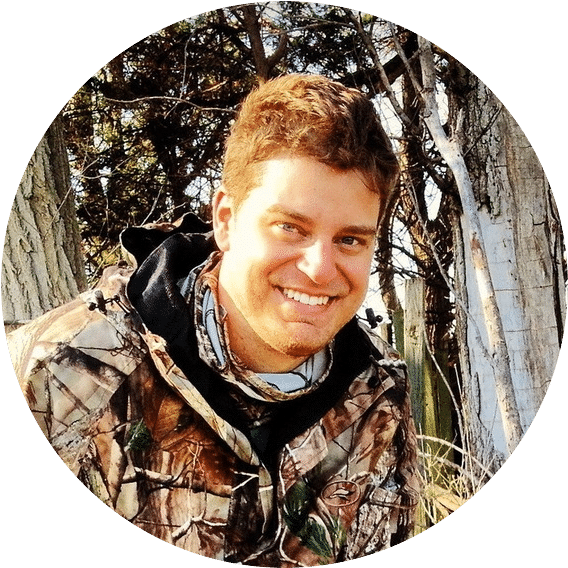 Later, Shawn took a Hunter Training at Alaska Department of Fish and Game to structure his knowledge and now he is open to share his knowledge with our readers. Shawn is taking ‘Safety First’ approach on all of his trips, especially is some people are going hunting for the first time. Best Birding Binoculars: 8 Products to Look at Before You Look Through!